I had the opportunity to dine at Souls with the owners, new friends and family to celebrate the birthday of the owners son. Once again excellent surroundings, fantastic service, delicious and well presented food and plenty of it. 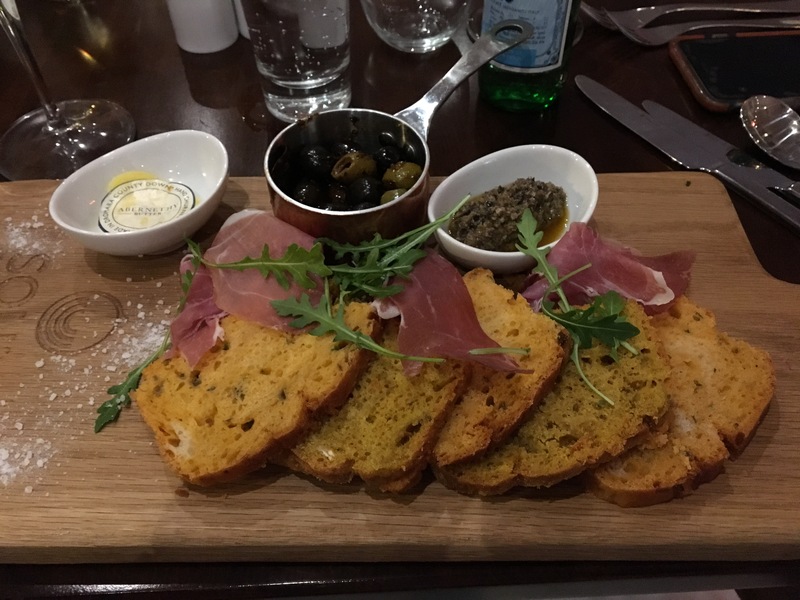 For starters I had the meat antipasti consisting of home made spiced bread, Parma ham, tapenade, olives and Abernethy butter. 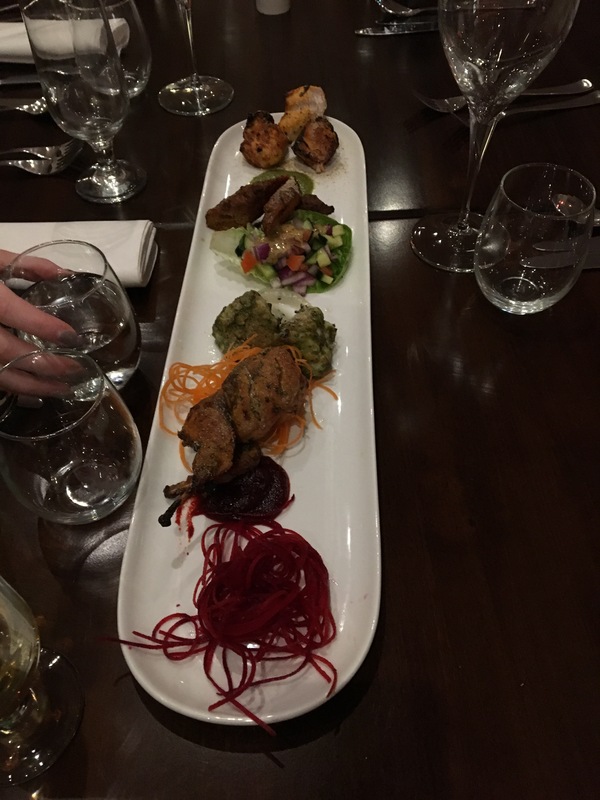 We also ordered a mixed platter for the table of seek kebab, chicken tikka, monkfish, quail and salad. Again all spiced and cooked to perfection. 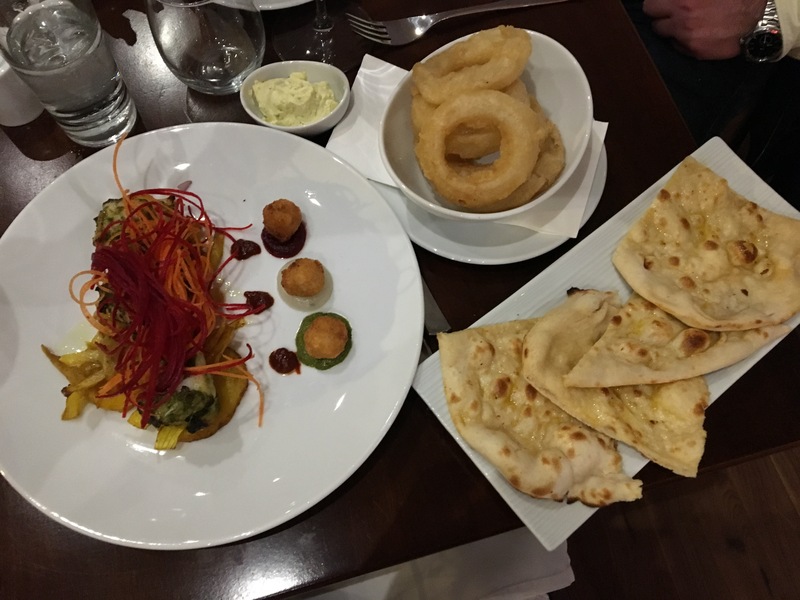 Chef Sanjay really has the knack for proper fusion cuisine whilst keeping the trueness and authenticity of the Indian dishes. For main course it had to be the Signature dish of monkfish served with man, onion rings, garlic creamed butter and vegetables. The dish was very well laid out and presented and was perfect in every way. 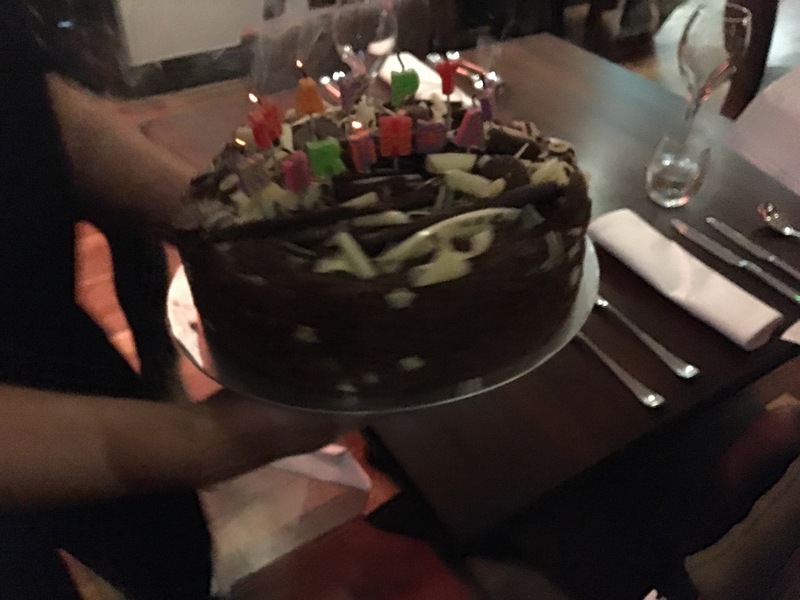 We all are so much that we didn’t have room for cake!!!! The food and service is consistently great and this would be a firm favourite for Best Newcomer in the Irish Times Restaurant Awards 2017 so get voting!!! I live in Canada and have never been to Ireland. I’m watching “The Fall” on Netflix. It’s set in Belfast. I agree! Do you recognize any of the places they film? The food looks absolutely yummy!! Yummy, I will try to hit this up in July when I am there.